Wei Bu is the Network and Computer Systems Administrator at OIC. 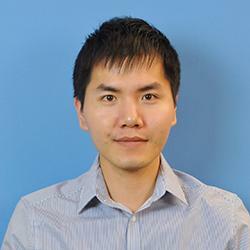 He has B.A Degree in Microelectronics Technology from Beijing University of Technology in China. Wei Bu is one of the senior staff at the OIC andhasextensive experiencein the computer field. His primary responsibility is Install, configure, and maintain the OIC’s network (LAN), wide area network (WAN) to ensure network availability to all system users. Maintain and administer computing environments, including computer hardware, systems software, applications software, and all configurations. Maintaining and developing OIC’s databases. 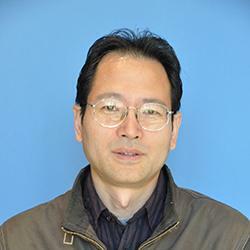 Mr. Wilson (Wowei) Mei is an International Education Counsellor at OIC. 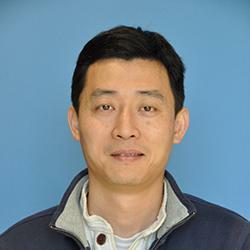 He received his diploma in Business Program from Centennial College in Toronto and previously worked in an educational agency in China as well as in an international educational consulting company in Canada. With his multidisciplinary background and trilingual capacity (English, Mandarin and Cantonese), Wilson thoroughly understands the education systems in both Canada and China and is ready to serve and to help students to achieve their goal of pursuing post-secondary education at Canadian universities and colleges. Wilson also provides a full-spectrum of counselling services to help international students solve problems in their studies and life. Service@oicedu.ca Mr. Yi (Tiger) Chen graduated with Master of Science from HuaZhong University of Science and Technology. He moved to Canada to study at University of British Columbia in Vancouver back in 2001 and later moved to Toronto in 2003. He has worked as The Student Service Coordinator at OIC for the past three years. With over 15 years’ experience studying and working in Canada, he is devoted to help students adapting to the new school and life challenges that they face in Canada. He is also in charge of IELTS test at OIC. Tiger helps students to register and he send their scores to all universities. Accounting@oicedu.ca Diana is working as an Accounting officer in OIC, and she has been worked as this professional position in education field for many years. Her major responsibilities are administer the sales policies, verifying and auditing the sales contracts, payroll accounting, expense accounting and other accounting records. Diana is very helpful and supportive in obtaining the student’s books by deposit and student health insurance, and she is also dedicated to ensuring that students are familiar of the school’s policies regarding various fees, such as tuition fee, living expenses, and tutoring fee etc. If you have any questions, don't hesitated to connect to accounting office and she is really like to help you! 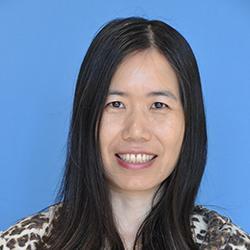 counselor@oicedu.ca Mrs. Ming Li works as a guidance counselor at OIC. She has more than 20 years of experience working with students. 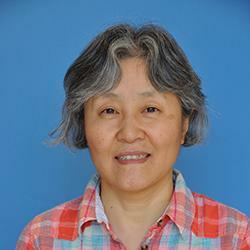 Mrs. Li graduated from Hei Longjiang University with a Master of Arts degree, where she later taught English courses. Her job as a guidance counselor at OIC requires her to work close with students and their parents. Mrs. Li helps our students to solve their personal, social, and academic problems. She also guides them in finding their appropriate education path; she assists them in achieving high grades and in the admission process to most prestigious Canadian universities. Ming teaches students how to apply to universities or colleges, advising them about admission requirements and financial aid, and watches over them every step of the way. Mrs. Li is very passionate about her job and it is quite obvious because students are often visitng her in the office. She has great personality and is very patient with the students. Mrs. Li does an excellent job assisting new students, making them feel welcome in our college and making sure that they are on the right path to success. 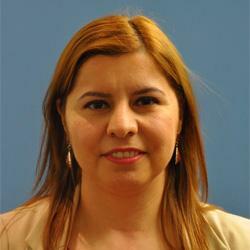 Ms. Taghreed Safaryan is the Dean of Academic and Student Affairs at Ontario International College . She is an internationally trained specialist with B.SC, M.Sc., and Ph.D. degrees. She is responsible for hiring highly skilled and talented teachers for OIC faculty and leading teacher professional development sessions. She is working closely with teachers and students to ensure the quality of education delivered at OIC. Ms. Safaryan also looks over students’ attendance issues and concerns, academic progress and university placement. She effectively leads her staff, teachers, and students towards building a positive learning environment at OIC. Ms. Safaryan is always trying to find a way to ensure students’ success at OIC and in their future educational careers. and helps them develop their learning skills as well as building their confidence. She often works closely with the students and the teachers to organize various social events such as in school activities, fundraisers, and outdoor fieldtrips to enrich students’ learning experiences. During the previous two years, Ms. Safaryan taught Math UT courses in OIC. She has more than 4 years of experience of teaching math and computer science to different age groups of students from diverse background including her University teaching experience. She is a motivated, enthusiastic educator with strong class management and intercultural communication skills. Your pathway to a prestigious university!